G8LED G8-600 Review: Why does High Times love this light so much? Since it was founded in 1974 by Tom Forcade, High Times Magazine has been one of the most highly respected voices in the great wide world of weed. These days, growers like Danny Danko and Jorge Cervantes appear regularly in its pages. So if a piece of grow kit comes High Times-approved, we figure it’s got to be worth a look. 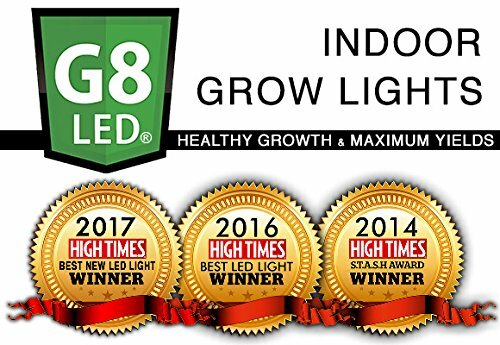 Dorm Grow’s multiple High Times STASH Awards winning G8LED G8-600 LED grow light is one such light. 3 So how many marijuana plants can I grow? 6 So why are there no dimmer switches? 7 Why does G8LED recommend adding red booster lights for flowering? 8 What about Chip On Board, 10W or 5W LEDs? 9 Are 8 bands enough light? Is this light really full spectrum? 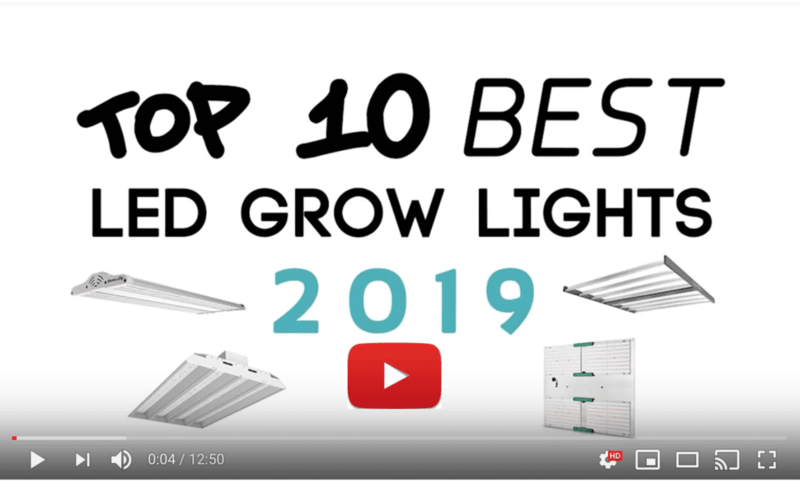 10 Why do some other grow lights have secondary optical lenses? 10.1 What are primary lenses? So what are the STASH Awards anyway? In 2017, the Bloom only version of the G8-600 won “Best LED Light”. In 2016, it was the G8-900 Veg/Flower grow light. And in 2014, same again. Here on 420 Beginner, we’ve decided to review the full spectrum, full grow cycle version of the G8-600, instead of the bloom only model, as not all home or beginner growers have separate veg and flower grow areas. Also, for most of us, if we’re going to invest in quality, it’s going to be on a light you can use for the whole grow. The G8LED G8-600 is an 8-band full spectrum light, including ultraviolet (UV) and infrared (IR) wavelengths. It can cover a grow area of up to 5’ x 4’ for flowering, with canopy penetration rated at 5 foot. PAR values are an impressive 1480μMol/m²/s hung at 16”. 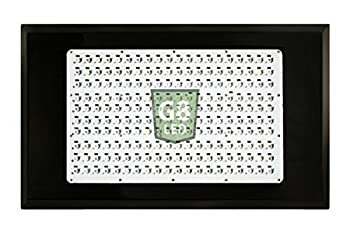 G8LED lights use 3W LEDs made in the USA, densely packed onto the panel for maximum intensity per square inch and better evenness of coverage. Power-wise, you can replace an 800-1000W HID light, while drawing only 380W of power at the wall. Hanging wires are included, and you’ll get whatever power cord matches your shipping address—the light can operate on 100V to 240V. G8LED recommends a hanging height between 16” and 36”. Keep an eye on how tall your plants are growing and raise the light where necessary, aiming to maintain a constant distance. All depending to some extent on your growing style. Finally, the whole package is backed up by a 2-year full warranty, 90-day money back guarantee and a reputation for excellent customer service. If you do have to send the light back for servicing, it will be dealt with directly by the company itself. 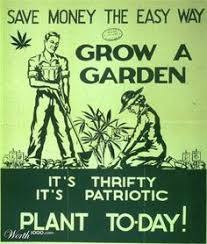 So how many marijuana plants can I grow? You’re looking at being able to take 6-10 plants through from seedling to mature plant. But the exact number very much depends on your growing technique and the strain you’re growing. 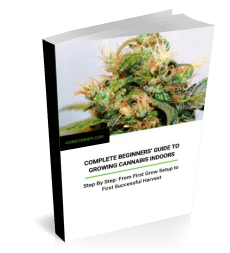 Growing cannabis using the sea of green (SOG) plant training technique, for instance, you can get away with 1 square foot per plant. While other methods might require as much as 4 square feet per mature plant. So bear that in mind when you’re weighing up whether this light will fully cover your grow area. Three Times Winner of High Times Magazine’s STASH Awards. So, although the G8LED G8-600 isn’t cheap, it should more than pay for itself in the long run. But let’s get into some benefits that are specific to the G8-600. What sets it apart from other grow lights? Impressive PAR values — by way of comparison, the Bestva DC Series 2000W, for instance, emits only 1058μMol/m²/s hung at 12″ for a very similar power consumption. UV wavelengths to stimulate trichome production, for flavorful, potent buds. IR wavelengths, which are generally thought to promote more efficient photosynthesis and shorter grow times. No secondary optical lenses, which means less intensity lost through refraction (up to 15%). Same coverage area whether at veg or flower stage. Because there are no dimmer switches, the intensity and footprint remain constant and even. Very efficient — up to 62% power saving compared to equivalent HID lights. Zener protection, so if one diode dies the rest keep working. Good reputation for customer service. Not possible to daisy chain (but it’s easy enough to get a multi socket power strip). G8LED recommend adding a couple of red booster lights during flowering. They work well, but it’s extra hassle and expense and perhaps a bit of a learning curve for beginners. No in-built timer. But on the other hand, it’s easier to replace an external timer if it breaks. No mention of a specific LED manufacturer. Coverage and spectrum diagrams not available for accurate comparisons with other lights. So why are there no dimmer switches? In a lot of lights, dimmer switches or veg/bloom switches just turn off a portion of the red diodes. That means when the light is dimmed the coverage across the footprint becomes correspondingly less even. G8LED also points out that running the light at full power all the time makes more efficient use of LED technology than the dimmer method. From the point of view of even coverage for your plants, having no dimmer switch certainly makes a lot of sense. And less turning off and on may help the lifespan of the affected diodes. Also, G8LED is correct that some still common dimming methods reduce the brightness of the output while still consuming the same amount of power. However, there are lights available now that genuinely dim parts of the spectrum using pulse width modulation technology, with the amount of energy consumed lowering accordingly. 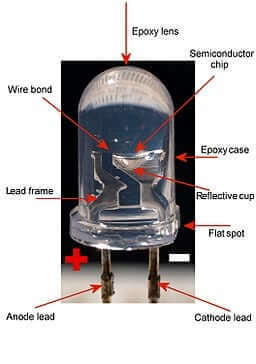 The Kind LED K5 XL-1000, for instance. However, you still lose the advantage of consistent, even intensity across the footprint. 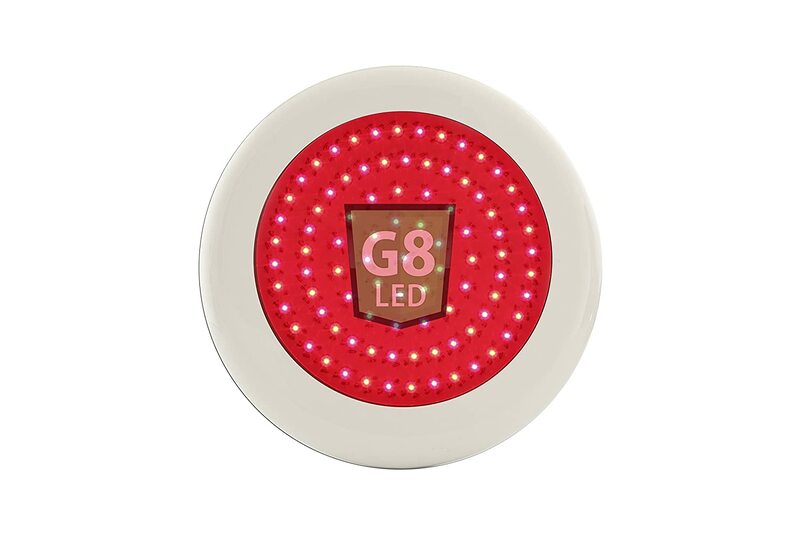 For the boost in quantity and intensity of red wavelengths that a Bloom switch on other lights is supposed to provide, G8LED recommends adding a couple of its 90W Red Flower Booster lights during the flowering phase. You can still use the light for the full grow cycle, but the booster lights will maximize flower size, density and yield. Why does G8LED recommend adding red booster lights for flowering? G8LED 90W Flowering Boost Light. A Bloom switch usually just turns on more of a light’s red diodes. Until you turn it on, you’re not running the light at full capacity—and often you’re still drawing the same amount of electricity as when those red diodes are lit. So you’re sacrificing full intensity across the footprint and wasting money at the same time. By running the G8-600 at full capacity and adding in red booster lights only for the flowering phase you potentially save some money (lower running costs, higher yields). Without sacrificing intensity and even coverage during the veg phase. Each supplemental light produces 920μMol/m²/s hung at 12” and covers a 3’ diameter. You can hang them at the same distance as the main light, place them vertically or angle them in from the side. What about Chip On Board, 10W or 5W LEDs? G8LED uses 3W chips, it says, because they are more stable than more powerful chips. And most importantly, they can be placed very closely together on the circuit board to give a denser, more even coverage for your plants. Also, 3W chips provide sufficient canopy penetration for growing plants up to 5’ in height. While 5W chips and above are indeed brighter, they give off correspondingly more heat, so need to be placed far enough apart from each other that the heat doesn’t degrade their performance or working lifespan. You then, arguably, need reflectors or lenses to rectify the consequently less even coverage. The problem that adding optics introduces is that refraction and reflection reduce light intensity. Which means you have to up the original brightness and therefore power consumption to compensate. COB LEDs, again, are brighter, and have the advantage that when one goes wrong they’re very simple to replace, no need to send the whole light away for servicing. But the way some manufacturers deploy them, evenness of coverage can still suffer. All of which makes 3W chips the sweet spot where intensity of coverage per square inch and efficiency meet. At least until the more powerful chips available improve enough to be packed more densely. Other manufacturers argue that 5W is the sweet spot—when correct heat management is provided. But the added cost of materials, better design and so on tends to raise the price. So beware of suspiciously cheap lights using 5W or 10W chips. All of which means that we agree with G8LED and High Times, a well designed grow light using 3W LEDs is going to be plenty good enough. And much better than many a less well designed light using more powerful chips. Are 8 bands enough light? Is this light really full spectrum? Pretty much every LED grow light manufacturer claims its own proprietary spectrum is the best, most efficient spectrum. No light wasted on wavelengths plants don’t use… Just the right ratio of wavelengths for growing high yielding plants that will put all their energy into producing quality buds instead of growing stems… The result of years of research… And so on. For some, that’s a 6-band spectrum. For others, it’s 12-band, 14-band or even higher. Some have more reds or more blue wavelengths than others. Some barely have any green or yellow wavelengths. You get the picture. G8LED keeps its exact spectrum pretty secret. We’ve yet to see a chart that shows the exact wavelengths their lights emit and the ratio between them. Instead, by way of explanation, it states that an 8-band spectrum provides the optimal number of wavelengths. 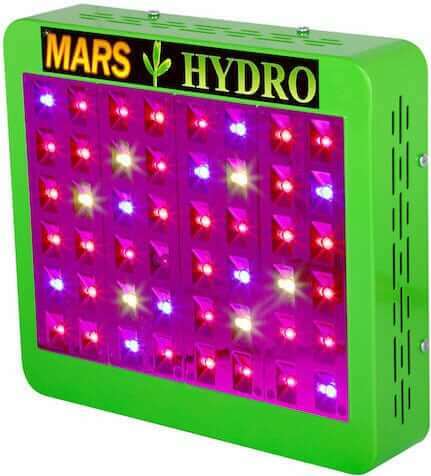 Meaning its lights cover all the wavelengths the plants need for photosynthesis and maximum trichome production, but won’t increase your electricity bills needlessly producing wavelengths that although present in sunlight aren’t much needed by your plants. Or aren’t needed in the quantity that some other grow lights produce. We agree that 6 bands is the minimum you need to cover the PAR spectrum. And that adding UV and IR wavelengths is necessary for maximizing yield, flavor, potency and bud quality. However, as we’ve already mentioned, we’d still like to be able to accurately compare the G8LED spectrum with other lights. Also, some advanced and commercial growers will have different requirements for their end product. For instance, unlike buds that are going to be on display in dispensaries, flowers that are going to be turned into edibles don’t need to be aesthetically appealing. Instead, you’re looking for maximum oil content. Different end products thus tend to require different growing styles and spectrum mixes to achieve their respective goals. In some cases, then, you might be better using a light with a more adjustable spectrum. For most home growers, though, the G8LED G8-600 should give you excellent results (check out some grow journals here), and appealingly low running costs. And yes, it’s full spectrum (click the link for a full explanation of full spectrum). Why do some other grow lights have secondary optical lenses? There are two reasons for using secondary optical lenses (or optics), one more legit than the other. The first reason is that they focus the light from LEDs with wider-angle primary lenses and help it to penetrate further. However, it would of course be preferable (for efficiency) to instead use chips with the preferred angle as standard. The second is marketing. By adding secondary optics and selectively measuring PAR values right below the narrow, super-focused beams produced, less scrupulous manufacturers can claim higher PAR values than much of your crop will actually experience. (Sometimes you’ll even see claims for secondary optics that frankly defy the laws of physics.) Whatever the case, high PAR values are basically irrelevant if the overall coverage isn’t sufficiently even. Incidentally, this raises another issue with COB LEDs. Some don’t have primary lenses, often relying on reflectors to focus and shape their beams, making them less efficient than lights that do. Most LEDs have a primary optical lens pressed right up against the silicon die. This allows more photons to leave the silicon die (chip) than when the die is simply left exposed to air, thus maximizing photons per watt. Why? Because the refractive index of glass, acrylic or silicone (the material of the primary lens) is intermediate between silicon and air. When going straight from silicon to air, due to the big difference in refractive index, many of the photons are simply reflected back into the die. Light beams emitted by these primary lenses will vary in angle from manufacturer to manufacturer. But 90 degrees is pretty standard. G8LED understandably prefers to maximize efficiency and coverage, while minimizing running costs. Hence no secondary optics. Some growers will prefer a more adjustable light. But we like that the G8LED G8-600 gives excellent intensity, even coverage across a large footprint and couldn’t be simpler to use. Learning different plant training techniques and experimenting with other variables such as light height, light schedule and nutrients will give you more than enough options to further optimize your growing and maximize your results. And, arguably, these are all more important, too, than endlessly tweaking spectrum mixes. If this isn’t the light for you, don’t forget to check out our current recommendations for best LED grow lights. You should be able to find a light there to suit both your grow space and your wallet. The SuperCloset Super Trinity Grow Cabinet.